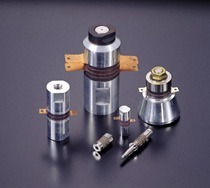 High vibration and high power using langevin-type transducers which have excellent electro-acoustic efficiency. Applications include: cleaning, welding, bonding, and medical equipment. Variable output frequencies from 15-200KHz.